The 16th Annual Exhibition was another successful event. A special postmark was issued for the occasion on the 6th November, 2015. 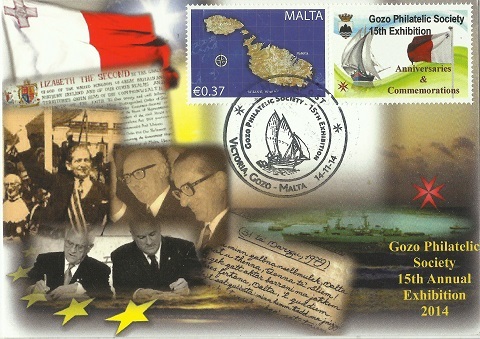 A video was also shown during the official opening which depicted most of the stamps issued with Gozo's connection. The Gozo Philatelic Exhibition 2015 application form together with the regulations is now out. To view the application form click here. 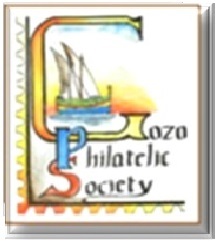 This year's 16th edition of the Gozo Philatelic Exhibition, organised annually by the Gozo Philatelic Society, will be open from the 6th to the 27th of November, with the theme this year being "Post and Postmen". Various philatelic categories are featured during the exhibition which are Postal History, Social Philately, Traditional and Junior Sections. The display includes antique and rare philatelic material and professional exhibits. MaltaPost is taking part in the exhibition and a special postmark will be issued for the occasion on the 6th of November. "Not the Great Siege; just a trivial Turco-Maltese postal dispute"
"Gozo’s Gran Castello; an overview of its defensive role and assemblage"
The Annual General Meeting was held at Il-Ħagar Heart of Gozo Museum, in St. George's Square, Victoria, on Sunday, 4th January, 2015 at 9.00am. This had included the distribution of prizes and certificates to all participants in the 15th GPS Philatelic Exhibition, main sponsors being MaltaPost as well as Sliema Stamp Shop. Photos can be viewed by clicking here.